RIVERSIDE, Calif. -- Prosecutors have filed eight new charges against a California father accused of shackling and starving some of his 13 children. The Riverside County district attorney's office charged David Turpin with eight counts of perjury Friday. The DA's office said the charges were connected to a private school affidavit he filed with the California Department of Education between 2010 and 2017, in which he claimed his children were receiving a full-time education in a private school, CBS Los Angeles reports. 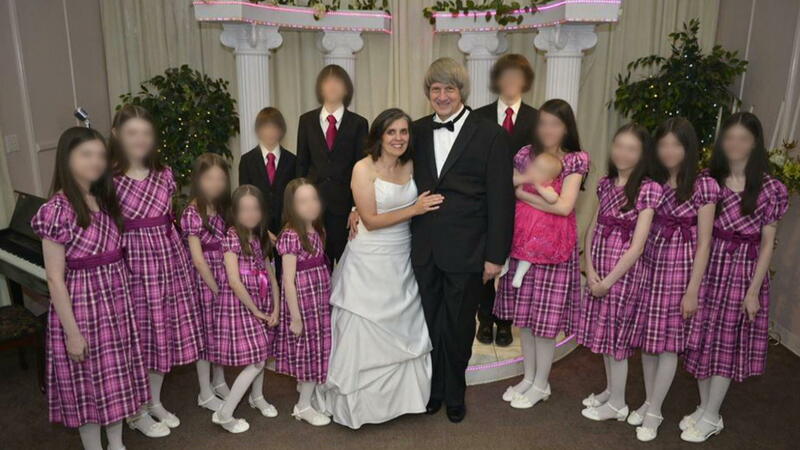 California teen posted secret videos from "house of horrors"
Turpin and his wife previously pleaded not guilty to torture, child abuse and other charges. The couple was arrested in January after their 17-year-old daughter escaped from the family's home in Perris, California, and called 911. Authorities say the evidence of starvation was obvious, with the oldest sibling weighing only 82 pounds. The Turpin children were all home-schooled, officials have said. According to the state DOE, the Perris home where the children were rescued from in January was registered as a private school called Sandcastle Day School. David Turpin was listed as the principal. Full-time private schools must register with the state to record their students' exemption from mandatory attendance at public schools, but the education department lacks the authority to monitor, inspect or oversee private schools.